No, I am not talking about ponytails or pigtails! What I am talking about are little tails that grow out of nuts and seeds. Although nuts are more referred to as soaks as they don’t grow tails like the seeds do. 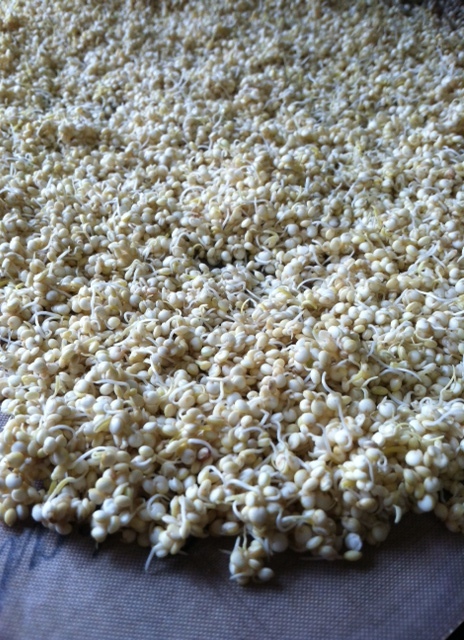 This is a quick post to introduce my readers to soaking, rinsing and sprouting for the purpose of reducing phytates and removing enzyme inhibitors. And unlocking the nutrients in these hearty creations! 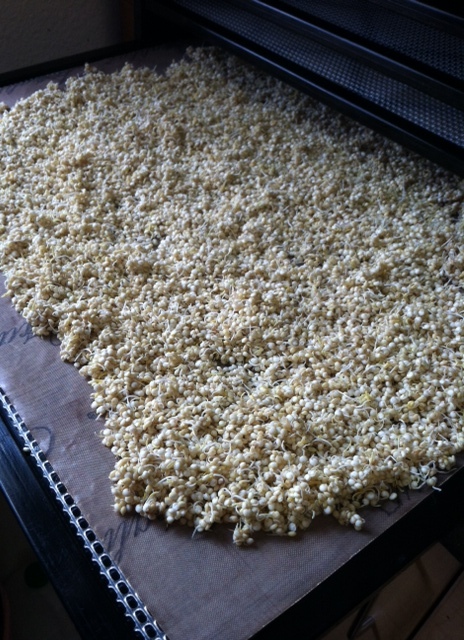 So for now, enjoy the pictures of quinoa and millet that I am sprouting. I just started the process last night. 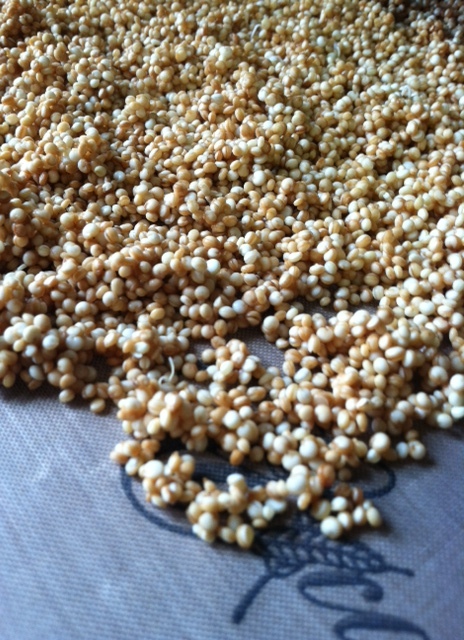 These millet seeds seem to be sprouting slower. But if you look closer, you can see their tiny tails! A closer look! Nutrients and enzymes galore!! !